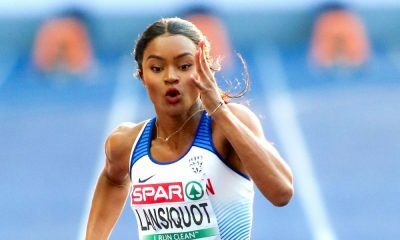 Imani-Lara Lansiquot jumped out of her comfort zone, raced the best in the world, and it paid off with a string of impressive indoor performances. 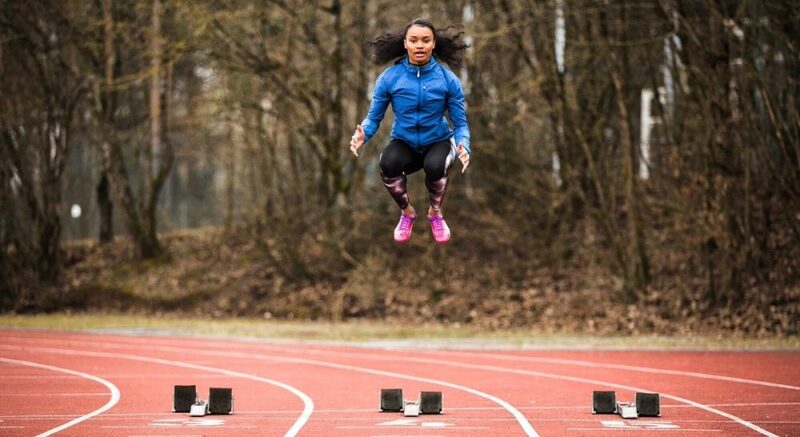 With the self-belief gained, the 20-year-old confidently looks ahead to the outdoor season. How the last few weeks have flown! They felt as rapid as they were, and for me, it was action-packed with back-to-back races and a mountain of assignments to attend to, all whilst trying to maintain my sanity. 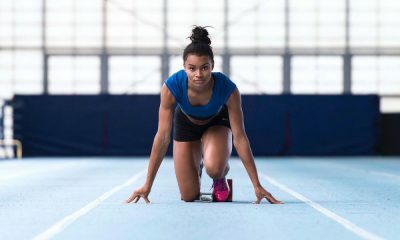 In my last class of 2018 post, I spoke about the importance of patience, and how I would take one step at a time this indoor season. The main performance goals for coach and I were to leave with confidence for the outdoor, and also to leave healthy and ready for spring training. I was really (really!) pleased to have achieved both of these goals, picking up some great world-class experiences along the way, racing on the World Indoor circuit in both Torun and Glasgow. Racing on the circuit was a bit of a new venture for me and motivated my latest buzz-word – independence. It is easy to become comfortable in your every-day training bubble; where you have your coach, your training partners, your physiotherapist and your everyday routine. However, the dynamic completely changes in race season; where suddenly you’re thrown on a race track with nobody but yourself backing you when the gun goes. With this in mind, I made the last-minute decision to race in Torun instead of racing at BUCS, off the back of a successful race in Newham, where I posted a new PB of 7.26s. I wanted to challenge myself and made a decision that I felt would steer me closer to my goals for the outdoor. Ultimately, this meant throwing myself into the deep end, opting for the race in Torun, as opposed to my original plan of racing at BUCS. 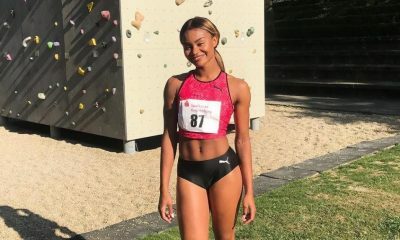 I was super happy with this decision, as it was my first time travelling without my coach, training partners, or family and really allowed me to test my own self-belief and independence. I was over the moon, to leave with another PB of 7.21s, alongside lots of momentum and confidence, that I showed I was capable of keeping my head and standing on my own two feet against the world’s best. I then raced in the Glasgow Grand Prix, where I was happy to post my second fastest time this year. 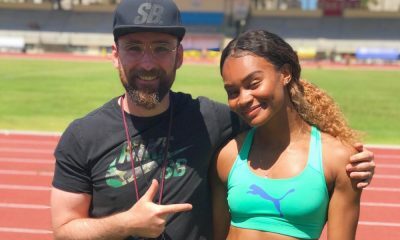 Qualifying from the heats, I gained invaluable experience racing world-class athletes Dina Asher-Smith, Marie Ta Lou, Elaine Thompson and Dafne Schippers among others in the final. I think what I learned this indoors is that although it takes a small village (literally) of people to get you to the start-line, ultimately, race day is about you. It is about keeping a clear and focused head, having a trusted plan, and being able to exert that independence. It has been a great learning curve, and I’m looking forward to seeing how I translate these lessons into the outdoor season. Over the next couple of months, I plan to build on the speed from the indoors and hopefully race in some bigger outdoor meets. Hoping to gain further high-quality experiences and confidence from these, my long-term goal over the coming months is the European Championships in Berlin. Imani-Lara Lansiquot is part of the ‘class of 2018’ and this year will share her running journey every month. You can read Imani-Lara’s previous posts here and further information about the ‘class of 2018’ can be found here.